Pride Week in Tel Aviv began on May 29 and continues till June 4 this year. Chock full of fun events, of which the annual parade is always the highlight. This year we also have an official Tel Aviv Pride video – Aerosmith’s Pink sung by Shefita who fully channels her inner Umm Kulthum in this fun and flippy clip. 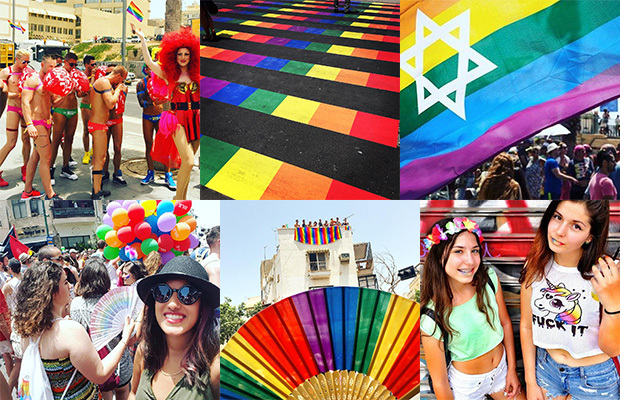 The best thing I have read this year about Tel Aviv Pride comes from my dear friend Sarah who wrote “See you at Tel Aviv Pride! It is the one day of the year that I celebrate how far we’ve come… The rest of the year I’m focused on how far we still have to go…” That is often how I feel about all aspects o\f life in Israel. It’s totally ok to celebrate this insane idea that brought us back here from all four corners of the world, and this celebration does not mean that we should stop trying every day to make things better and make us more worthy of being here. Happy Pride Tel Aviv! Check all your social media for images and videos coming from Tel Aviv pride. I got these pics from Instagram.